Can you imagine a paradisiac spot, with practically no visitors and with the best features of a beach, like white sand, quiet sea and unique flora and fauna? You can find some places just like that in the Mexican Caribbean. The Mexican Caribbean is internationally renowned for its beaches, the color of their sand, the magnificent nature and its aquatic activities, like swimming with dolphins in Cancun. You might have heard of some of them, but these secret beaches are something that not everyone enjoys in the Mayan Riviera. Celestun is home to the pinkest flamingos in the world, according to some experts, and is located 90 km away from Merida, Yucatan’s capital city. 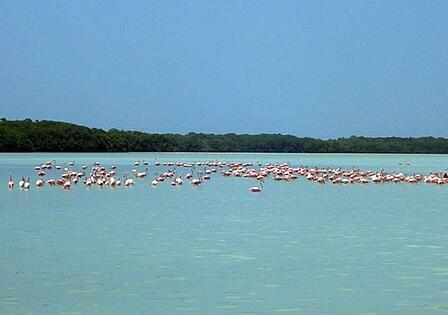 You can also visit the Special Biosphere Reserve Ria Celestun, one of the most important in the country. What to do in Celestun? Ecotourism is something unique in this place. Its Biosphere Reserve has more than 59 thousand hectares. Boat riding: discover rivers and beaches, along with the multicolor mangroves of the area on a boat! Visit the Petrified Forest. The salt in the area has petrified some mangroves, creating an amazing visual show. One of the secret beaches in Celestun is Playa Ximxim, which means shell and a place full of tranquility and peace. It’s perfect if you’re looking for a beach just for yourself. 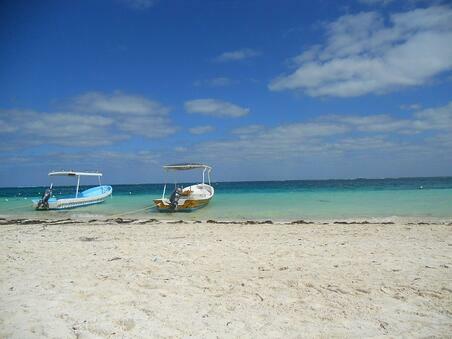 Another beach that is definitely worth the trip is Xpu-há, only 25km away from Playa del Carmen. 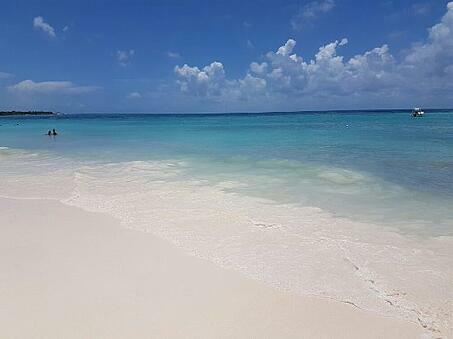 Xpu-há is considered as one of the most beautiful beaches in the Mayan Riviera and is not invaded by big hotels or commercial centers, so you will be able to enjoy this beach's savage beauty. What to do in Xpu-há? Relaxing is the key. There are some beach clubs and ecotouristic hotels that can help you enjoy the beach's essence, but just laying down will give you the best experience. 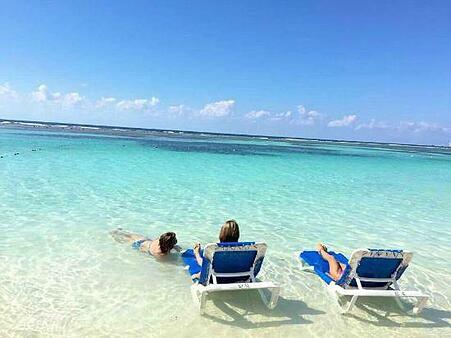 Despite the fact it is so close to some of the most touristic cities, Puerto Morelos is known as a quiet beach. This fishers-town is very peaceful but it offers many things to do. The second biggest coral reef is there. You can appreciate it while diving or snorkeling in the area. 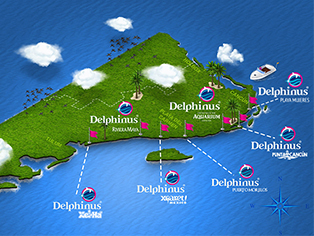 If you have always dreamt of swimming with dolphins in Cancun, you could consider doing it in Puerto Morelos instead. Share an amazing experience with this mammal! Sacred cenotes are a must in your trip. Surrounded by magic and mysticism, you should visit at least one of the 3 most important: Boca del Puma, Siete Bocas or Chak Balam. Yes, Mahahual is a small and barely-known town, but you will find several activities to do there and can rest with a lot of privacy and wonderful nature. Even though this is the furthest destination on the list, you could make the most of the trip and also visit other great cities, like Chetumal, Bacalar (with its 7-coloured lagoon) or the Huach River. We suggest you take a walk in the historical city of Chetumal and its archeological spots, which are one of the jewels of Quintana Roo. Bacalar is a magic town and it has a lagoon with 7 different colors. Also, you can visit the incredible Cenote Azul or the San Felipe Fort, used for defending the city from pirates. What are you waiting to plan your visit to these secret beaches? Discover the magic of the Mexican Caribbean and do everything you’ve always dreamed of, like swimming with dolphins in Cancun!